and we're off to have fun. the stars and the sun!" 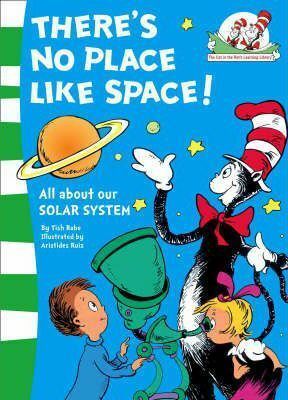 And so Dr. Seuss' famous Cat in the Hat whisks young readers off on a fun-filled tour of the solar system.
" There is a big gap between 'concept' books written for preschoolers and nonfiction that requires fluent reading skills. The Cat in the Hat's Learning Library books introduce beginning readers to important basic concepts about the natural world. They provide the critical foundations upon which complex facts and ideas can eventually be build. In addition, The Cat in the Hat's Learning Library shows young readers that books can be entertaining and educational at the same time. This is a wonderful series!" Teachers College, Columbia University "There is a big gap between 'concept' books written for preschoolers and nonfiction that requires fluent reading skills. The Cat in the Hat's Learning Library books introduce beginning readers to important basic concepts about the natural world. They provide the critical foundations upon which complex facts and ideas can eventually be build. In addition, The Cat in the Hat's Learning Library shows young readers that books can be entertaining and educational at the same time. This is a wonderful series!"